A while back I posted a recipe for an Orange Pound Cake perfumed with coriander, and I blamed it on the egg yolks. You see, I had 6 yolks in the refrigerator and felt compelled to use them up, so I came up with a recipe for an Orange Spiced Poundcake. Well, now I can say that the Orange Spiced Poundcake made me do it. While the cake was pleasantly fresh with orange, it was elusively intriguing with its hint of coriander. I wanted more. So, in an eternal quest for perfection, I had another go at this cake. Instead of 6 yolks and buttermilk, I used 3 whole eggs with whole milk, relying on a method by Rose Levy Beranbaum which I’ve used for years. Instead of orange juice, I simply added zest for brightness and stepped up the coriander note, not only in the cake batter, but in a syrup which I used to baste the cake. To top it off, I added strawberries to some of the left over syrup and left them to macerate while the cake cooled, before spooning them over slices of the cake. Fruity, spiced and light, this is a luscious springtime dessert which embraces the coriander spice and takes advantage of the season’s strawberries. Combine the sugar, water, and ground coriander seeds in a small saucepan. Bring to a boil, stirring to dissolve the sugar. Remove from the heat and cool completely before straining. Once cool, strain the syrup into a bowl and set aside. 1. Preheat the oven to 350°F. Butter and flour a loaf pan lined with parchment paper. 2. Whisk the eggs, milk, zest, and vanilla in a small bowl. 3. Briefly mix the flour, sugar, coriander, baking powder, and salt in a bowl of an electric mixer to blend. Add the butter and half of the egg mixture and beat for 1 minute to aerate. Add the remaining egg mixture in 2 batches, beating 20 seconds after each addition. 5. 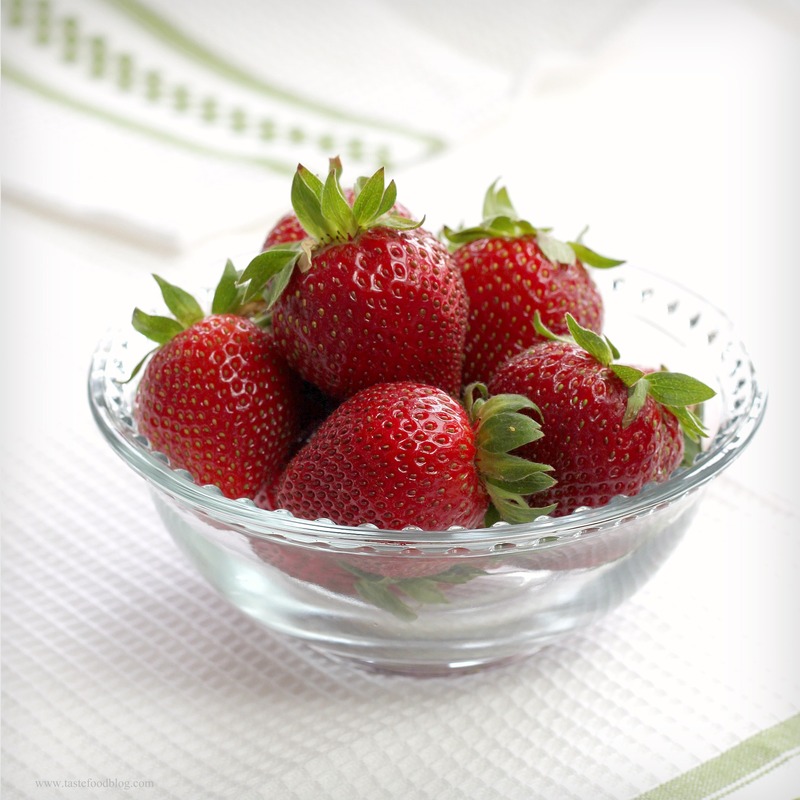 While the cake is cooling, toss the remaining syrup with the strawberries in a bowl. Beat the cream and sugar in a bowl of an electric mixer until stiff peaks form. 6. To serve, cut the pound cake into 3/4-inch slices. Spoon some of the strawberries with syrup over the cake. Top with a dollop of whipped cream and garnish with orange zest. Seriously tasty looking! We’ve been getting strawberries every weekend at the farmers market. Last weekend’s batch went to jam, this weekend probably this cake! The perfect spring dessert for the dinner party I’m planning! I’ve never baked cakes with spices, this one seems delicious indeed, strawberries are so good right now! Interesting, haven’t tried strawberry and coriander. I have had strawberry with cardamom which is quite nice! mmm, cardamom is good too. Coriander! I can’t wait to try that with my next strawberry dessert. The coriander is intriguing! I t looks like seriously good pound cake! This pound cake sounds very good. I have never had pound cake with corriander, but am interested enough to give it a try. My strawberries will be producing soon, looking forward to their sweet taste. Beautiful strawberries, cake and photos! Your recipe made me think of mint, blueberries and vanilla cream on spiced pound cake. I love your description of this cake as ‘elusively intriguing.’ Beautiful words, beautiful photos. Thanks for sharing. Bring on the strawberries is right. This sounds great. I bet it would even be good for breakfast or a brunch. I love how you were inspired by what was in your fridge. I love this unique combination of ingredients. So refreshing and looks perfect for warmer weather. Lovely pictures too. Congrats on the Top 9! wow, this looks incredible! and where did you find such amazing looking strawberries? they are perfection! Love the use of coriander in the pound cake! I love cilantro/coriander in anything. Some fresh cilantro would be a lovely garnish as well. Pingback: Yummilicious Delights With Strawberries!